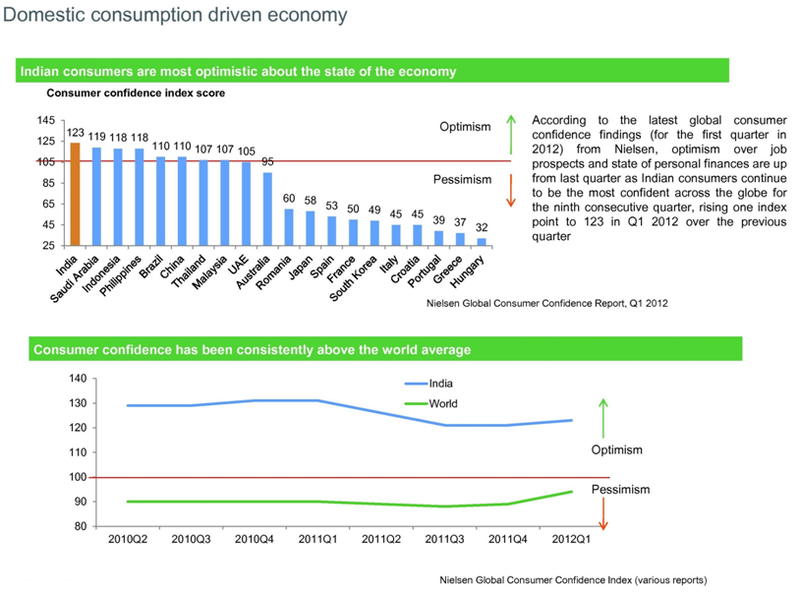 Indian National Congress and the UPA is fully aware that the world economy faces the worst crisis in 50 years. 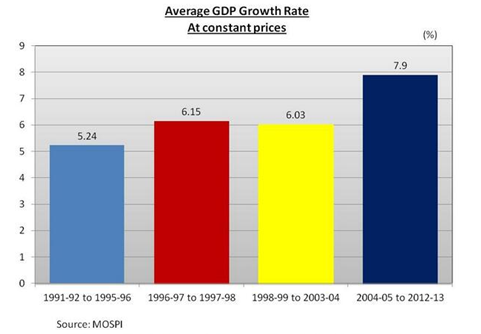 The average rate of economic growth during the self-declared India Shining period of the BJP was just 5.8% per year, as compared to 8.5% during the five year tenure of the Congress-led UPA government. 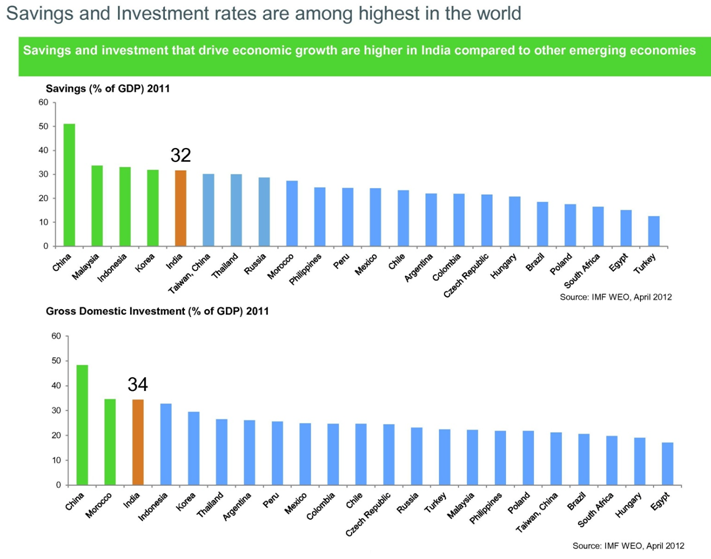 2011-12 has proved to be a difficult year for growth, yet the Indian economy grew at about 7%, and subsequently grew at about 6% in 2012-13. 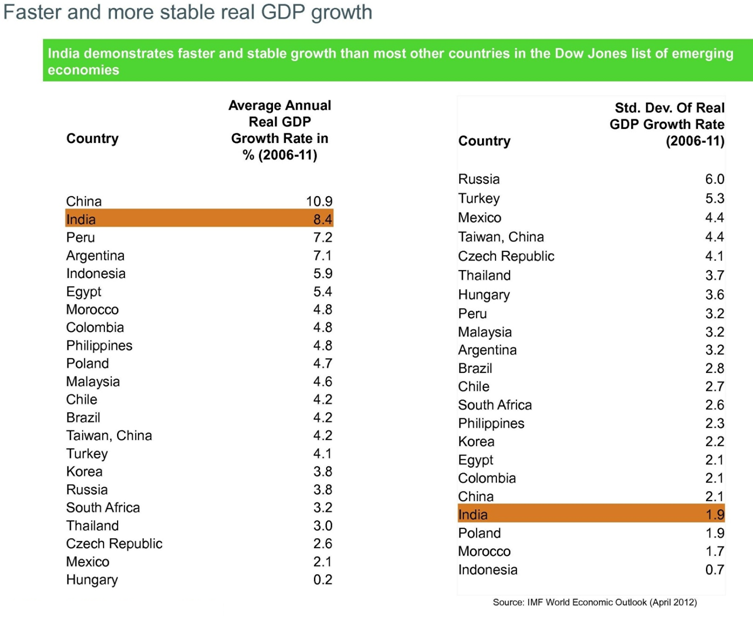 The last 2 years have been difficult one for global economy and polity but with India’s quest to strive for a better future for our multitudes continues unabated. 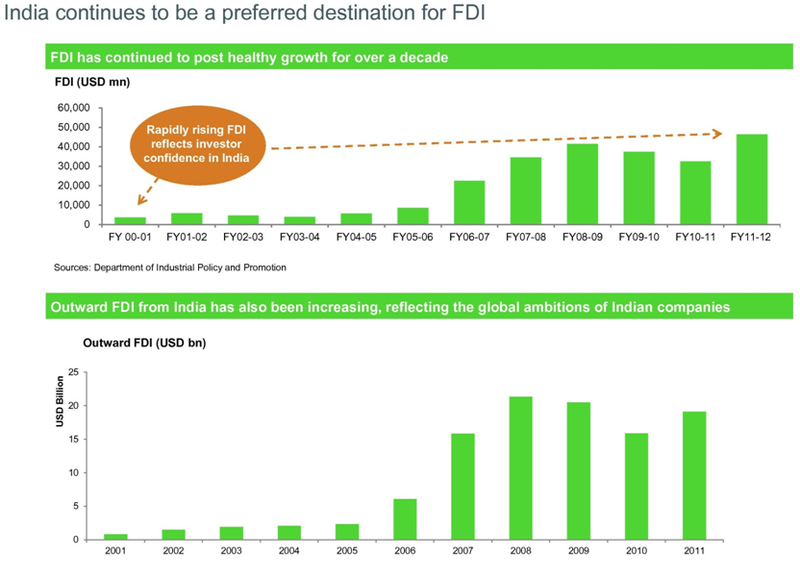 Green shoots in the economy are emerging after a series of Economic Reforms steps taken by the UPA – which includes – FDI in Retail, Pension, Aviation, Insurance, Media etc. 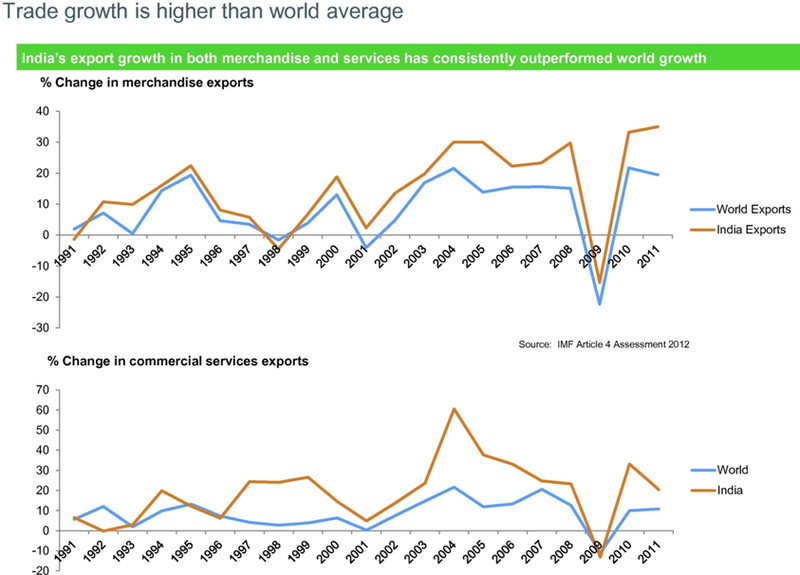 India’s agricultural output is on a record breaking path, service sector remains robust. To create opportunities for youth to acquire education and skills that will get them decent jobs or self-employment that will bring them adequate incomes that will enable them to live with their families in a safe and secure environment. In September, 2012, Government accepted the main recommendations of the Dr. Vijay Kelkar Committee. 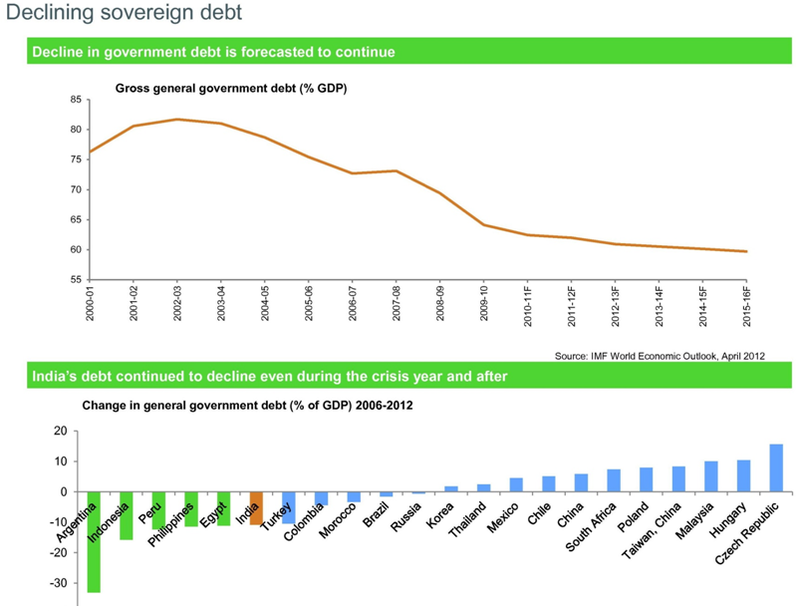 A new fiscal consolidation path was announced. Red lines were drawn for the fiscal deficit at 5.3 percent of GDP this year and 4.8 percent of GDP in 2013-14. 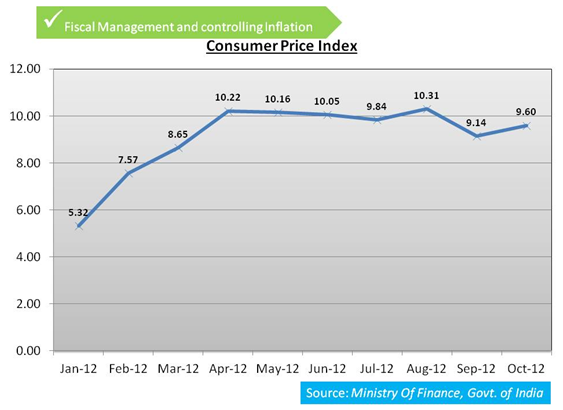 Measures including the increase in the price of diesel by Rs 5 per litre, allowing oil marketing companies (OMCs) to raise diesel prices by small amounts regularly, and a cap on the number of subsidized LPG cylinders are expected to rein in the fiscal deficit. 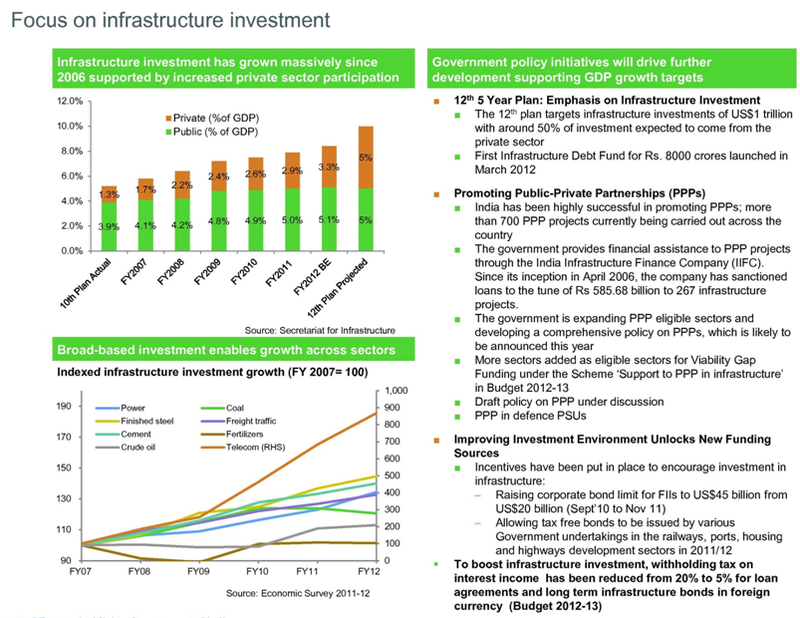 The 12th Plan projects an investment of USD 1 trillion or Rs 55,00,000 crore in infrastructure The Plan envisages that the private sector will share 47 % of the investment. 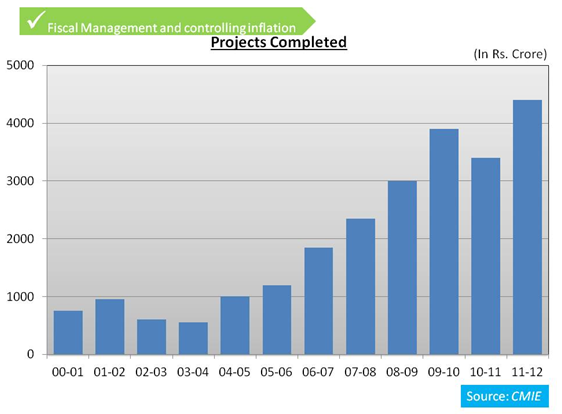 Infrastructure Debt Funds (IDF) have been encouraged. These funds raise resources and, through take-out finance, credit enhancement and other innovative means, provide long-term low-cost debt for infrastructure projects. India Infrastructure Finance Corporation Ltd (IIFCL), in partnership with the Asian Development Bank, offers credit enhancement to infrastructure companies that wish to access the bond market to tap long term funds. 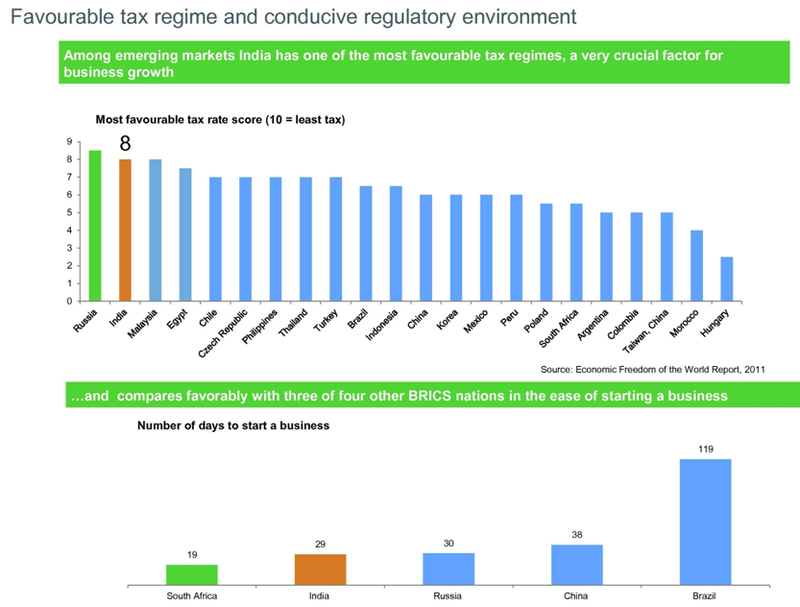 In the last two years, a number of institutions were allowed to issue tax free bonds. They raised Rs 30,000 crore in 2011-12 and are expected to raise about Rs 25,000 crore in 2012-13 Budget 2013-14 proposes to allow some institutions to issue tax free bonds strictly based on need and capacity to raise money in the market, upto a total sum of Rs50,000 crore. NABARD operates the Rural Infrastructure Development Fund (RIDF). RIDF has successfully utilised 18 tranches so far. 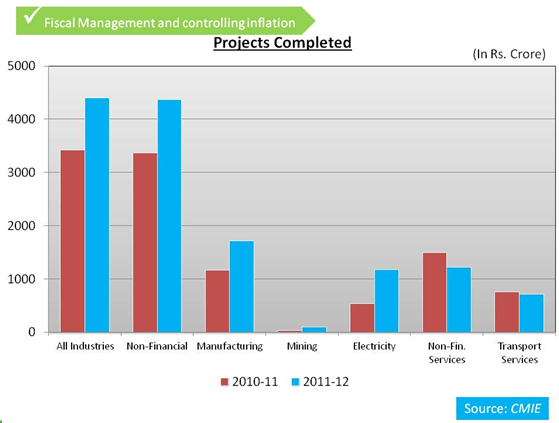 Budget 2013-14 proposes to raise the corpus of RIDF-XIX in 2013-14 to Rs 20,000 crore. Bottlenecks stalling road projects have been addressed and 3,000 kms of road projects in Gujarat, Madhya Pradesh, Maharashtra, Rajasthan and Uttar Pradesh will be awarded in the first six months of 2013-14. To attract new investment and to quicken the implementation of projects, Budget 2013-14 proposes to introduce an investment allowance for new high value investments. A company investing Rs 100 crore or more in plant and machinery during the period 1.4.2013 to 31.3.2015 will be entitled to deduct an investment allowance of 15 percent of the investment. The Department of Industrial Policy and Promotion (DIPP) and the Japan International Cooperation Agency (JICA) are currently preparing a comprehensive plan for the Chennai Bengaluru Industrial Corridor. The corridor will be developed in collaboration with the Governments of Tamil Nadu, Andhra Pradesh and Karnataka. 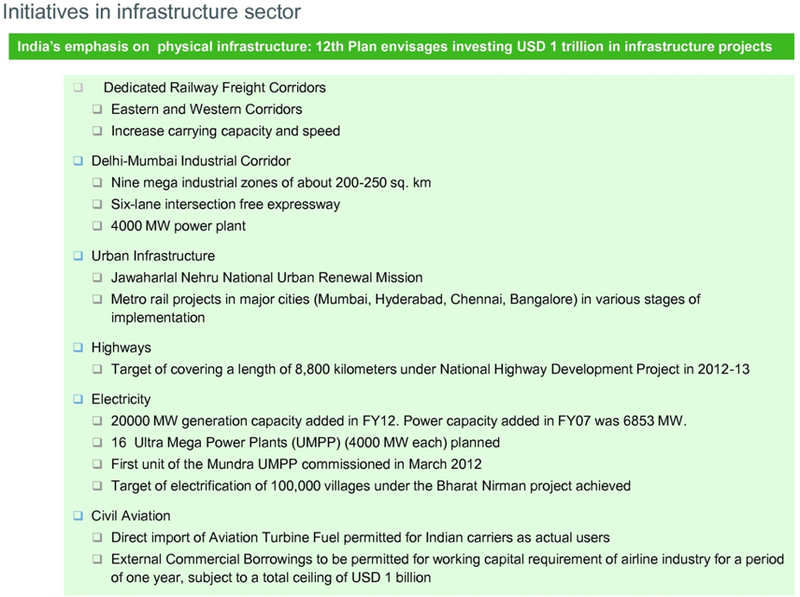 The next corridor will be the Bengaluru Mumbai Industrial Corridor on which preparatory work has started. The main reasons for the high CAD, as pointed in Budget 2013-14 are increasing imports of coal, oil and gold and decreasing exports. The specific measure suggested to reduce coal imports is to have private participation in coal mining through public-private partnership (PPP) with Coal India Limited (CIL), the public sector monopolist. To increase oil exploration, a new exploration policy is now formulated where revenue sharing will be required instead of profit sharing as is done now. 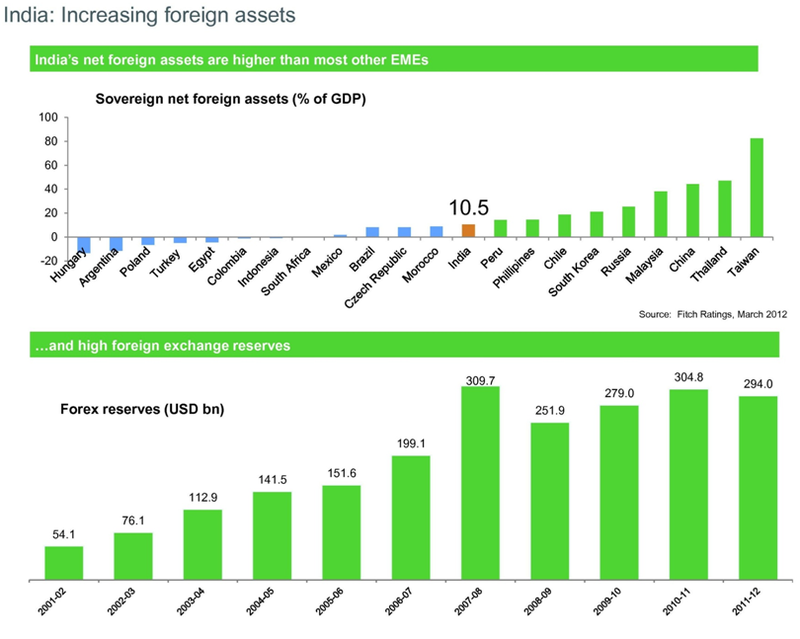 To reduce gold imports, a new investment instruments has been introduced that will be preferred by those who currently buy gold as a hedge against inflation and for capital gains. 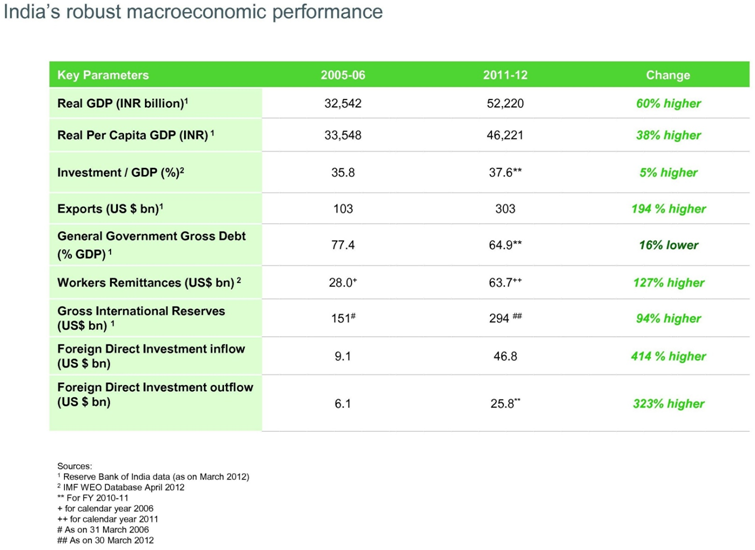 Global economic growth slowed from 3.9 percent in 2011 to 3.2 percent in 2012. 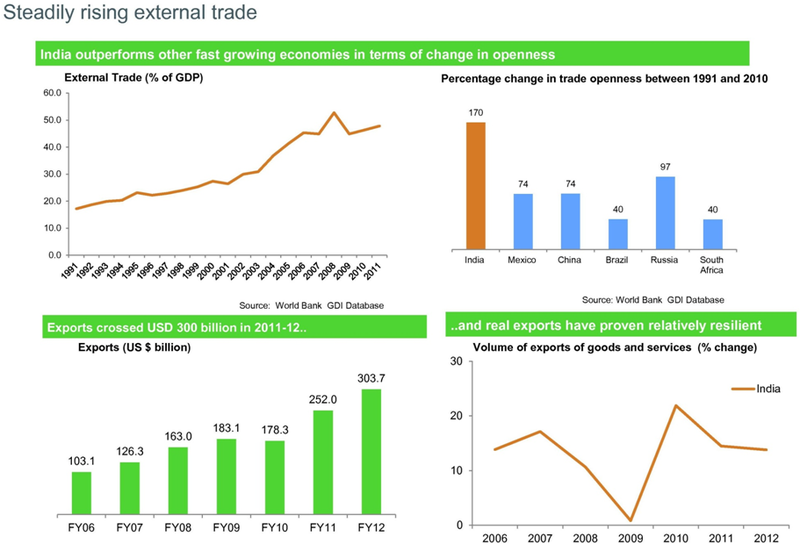 India is part of the global economy: our exports and imports amount to 43 percent of GDP and two-way external sector transactions have risen to 108 percent of GDP. 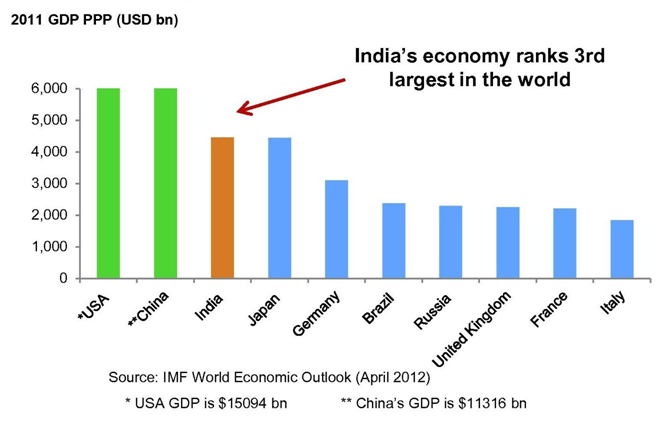 Even now, of the large countries of the world, only China and Indonesia are growing faster than India in 2012-13. 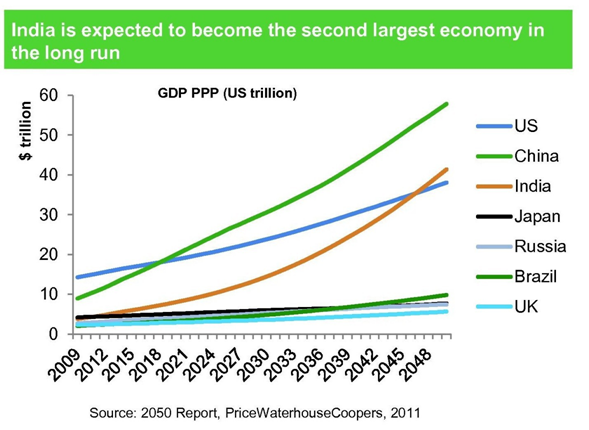 In 2013-14, if we grow at the rate projected by many forecasters, only China will grow faster than India. 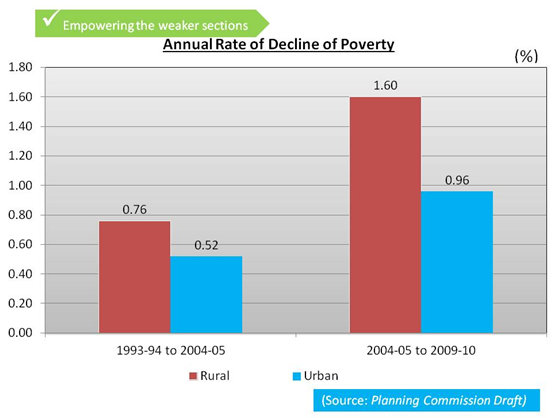 The average for the 11th Plan period, entirely under the UPA Government, was 8 percent, the highest ever in any Plan period. Agricultural GDP growth accelerated in the Eleventh Plan, to an average rate of 3.3. per cent, compared with 2.4 per cent in the Tenth Plan, and 2.5 per cent in the Ninth Plan. 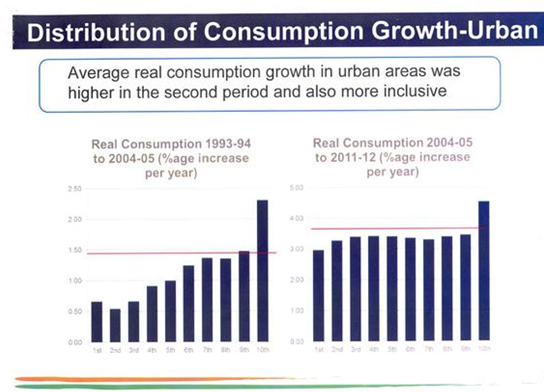 The rate of growth of real consumption per capita in rural areas in the period 2004-05 to 2011-12 was 3.4 per cent per year which was four times the rate in the previous period 1993-94 to 2004-05. 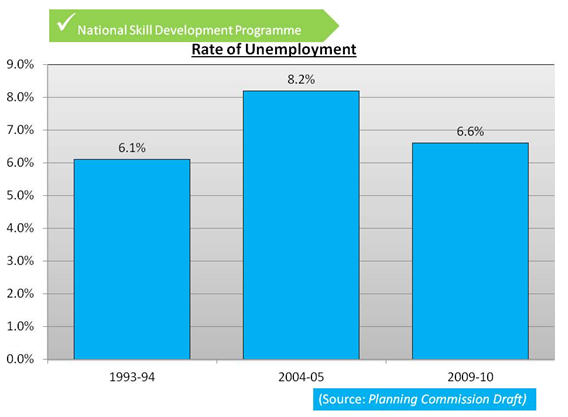 The rate of unemployment declined from 8.2 per cent in 2004-05 to 6.6 per cent in 2009-10 reversing the trend observed in the earlier period when it had actually increased from 6.1 per cent in 1993-94 to 8.2 per cent in 2004-05. 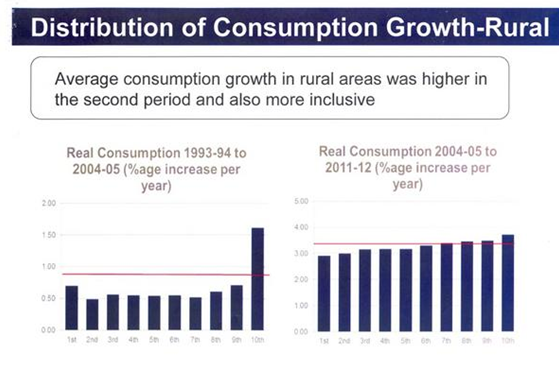 Rural real wages increased 6.8 per cent per year in the Eleventh Plan (2007-08 to 2011-12) compared to an average 1.1. per cent per year in the previous decade, led largely by the government’s rural policies and initiatives. Complete immunization rate increased by 2.1 ppt per year between 2002-04 and 2007-08, compared to a 1.7 ppt fall per year between 1998-99 and 2002-04. Institutional deliveries increased by 1.6 ppt per year between 2002-04 and 2007-08 higher than the 1.3 ppt increase per year between 1998-99 and 2002-04. Net enrolment rate at the primary level rose to a near universal 98.3 per cent in 2009-10. Dropout rate (classes I-VIII) also showed improvements, falling 1.7 ppt per year between 2003-04 and 2009-10, which was twice the 0.8 ppt fall between 1998-99 and 2003-04.